VatorNews | How does Qualtrics make money? In this day and age, companies seem to have a shorter and shorter amount of time to make an impression on a consumer. It has been well documented that many people will easily give up on apps after just a single try and never return if they are dissatisfied with the experience, even if it's in the first few minutes. It's a dog eat dog world where attention spans are getting shorter and shorter. It's that kind of world where a company like Qualtrics can thrive by providing what it calls Experience Management. That allows companies to get better insights into how customers, as well as employees, feel about a brand or product, allowing them to deliver experiences that will engender greater loyalty. "Today, organizations thrive or fail based on the experiences they deliver. In a world of abundant choice, experiences differentiate brands and products, and foster customer and employee loyalty. Great experiences drive customer loyalty, upsell and expansion, employee engagement, brand quality, improved retention and referral, and ultimately, greater shareholder value," the company wrote in its S-1 filing with the SEC last week. "Conversely, unfavorable experiences lead to increased churn, lower productivity, diminished competitiveness, and value destruction. With the advent of digital communication channels, favorable or unfavorable experiences can be shared instantly and spread virally, amplifying these impacts and raising the stakes for organizations of all types and sizes." "Our mission is to help organizations deliver the experiences that turn their customers into fanatics, employees into ambassadors, brands into religions, and products into obsessions." The company breaks its revenue own into three streams, the first, and largest, being the money it makes from sales of subscriptions to access its XM Platform, along with support services. Pricing for subscriptions is dependent on a variety of factors, including "the capacity and functionality needs of our customers," the company says. "This pricing and packaging includes volume of expected responses, number of users accessing our platform, number of employees, and level of functionality provided, such as dashboards, iQ functionality, and integrations. Our customers expand their subscriptions as they increase volume of responses, add solutions, add users, and increase features within each solution." Qualtrics made $213.3 million from subscription revenue in 2017, up 50 percent from $142.5 million in 2016. That represented 73.6 percent of the $289.9 million the company brought in during 2017. The next largest revenue stream is from Qualtric's Research on Demand offering, which it provides to its existing subscription customers. "Our Research on Demand solution allows customers to gain market intelligence by procuring a curated group of respondents and returning tangible results, while conforming to best-practice design and methodology. We provide our Research on Demand solution as an automated, software-led approach, providing ease of use and efficiency for our customers," wrote Qualtrics. The company made $51.8 million from this stream in 2017, an increase of 36 percent year-over-year. It totalled 18 percent of revenue in 2017. Finally, the company makes money from what it calls "Professional services and other revenue." The professional services aspect is made up of implementations, configurations, and integrations to help customers deploy its platform, while other revenue consists of consulting and training fees. This stream brought in $24.8 million in 2017, a 150 percent increase from the $9.9 million in 2016. It was 9 percent of total revenue for the year. Probably the best known competition for Qualtrics would be SurveyMonkey, which went public in September. That company offers a freemium business model, meaning everyone is free to sign up, create, and send a survey with basic features, including 10 questions, 100 responses and e-mail support, for free. It also offers tiered pricing plans, which start at $26 a month and go to $780 a year, which offer more responses and features, such as custom logos, question & answer piping, white label surveys and HIPPA-compliant features. SurveyMoney brought in $106.5 million in revenue in 2017, less than half of Qualtrics' revenue during the same time frame. 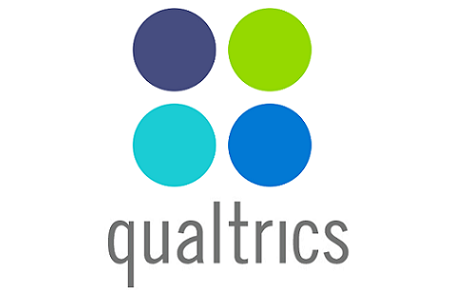 Founded in 2002, Qualtrics has raised $400 million in venture funding from investors that include Accel, Sequoia Capital and Insight Venture Partners. Its last funding round, a $180 million Series C in April of last year, valued it at $2.5 billion. The company is looking to raise $200 million in its upcoming IPO. 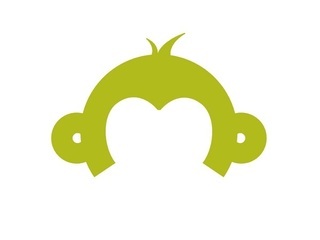 How does SurveyMonkey make money?